Designed explicitly for use by public safety professionals. Sturdy enough to withstand the rigors of daily use, the StreetPro® meets the demands of the job — and does it speedily and efficiently. Quick-opening front enables rapid handling of citations and comes with a compartment to store pens, ticket books and more. 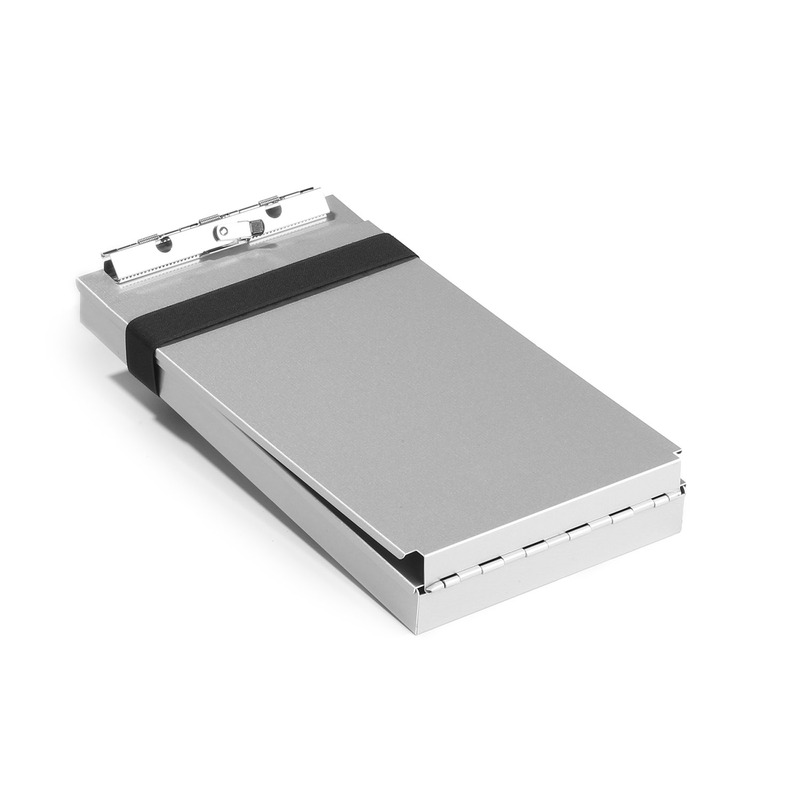 The recycled aluminum Citation Holder has a hinged writing plate that prevents write though on unused forms. The high capacity clip holds up to 1 inch of paper and features a swivel bar that holds IDs or licenses. This clip keeps your tickets secure, even when the wind picks up or when you need to toss it in the vehicle. The patented clip and latch system keeps the lid tightly closed and secure in any environment. Additionally, there is an outer hook-and-loop strap that secures the entire unit. This durable clipboard can be used daily for traffic and parking citations. It comes in handy for paramedics, police, motorcycle police, marine officers and Park Rangers, just to name a few. Ordered this for Parking Citations and it's proven to be very reliable. Not too heavy, bulky, and nice in appearance. We be ordering this again.